United Tiny House Association | 2016 Florida Tiny House Festival at the St. Johns County Fairgrounds, outside of St. Augustine in Elkton, Florida. After the success and public outpouring of support regarding our record-breaking 2016 & 2017 Florida Tiny House Festivals, the United Tiny House Association is bringing the World’s largest Tiny House Festival on record back to the Sunshine State; and more specifically, to the oldest city in our great Nation… beautiful and historic St. Augustine, with the 3rd Annual (2018) Florida Tiny House Music Festival! 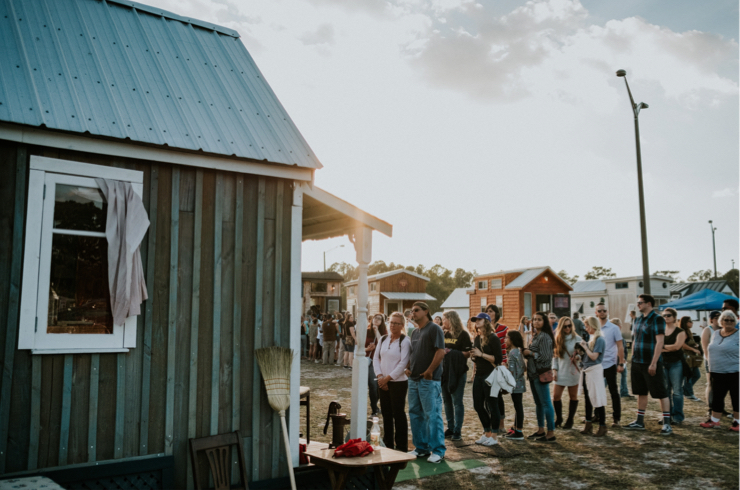 The 2018 Florida Tiny House Music Festival promises to once again be one of the United Tiny House Association’s biggest, is not its most biggest, and most encompassing event to date. 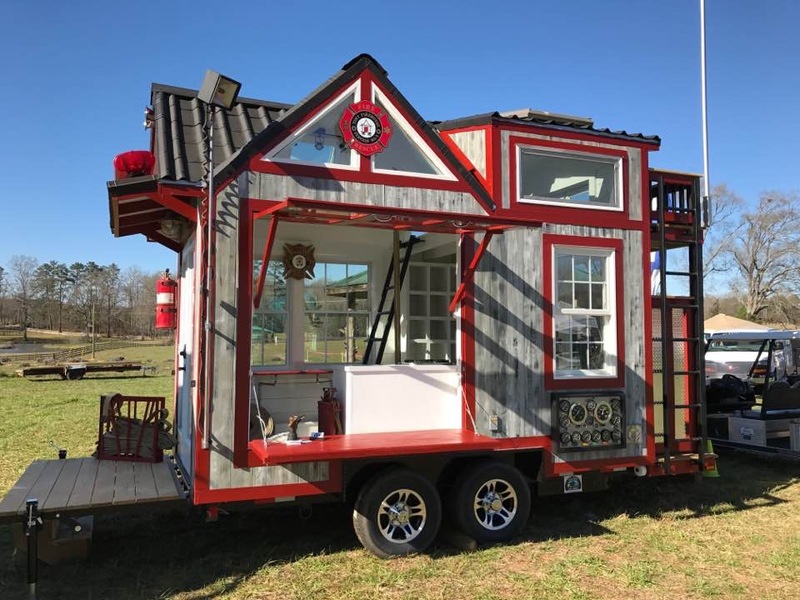 With 97 tiny structures in attendance in 2016, and 116 tiny structures in attendance in 2017, the 2018 Florida Tiny House Music Festival promises to have a HUGE number of tinies for tours and viewing. Plus, once again, there will be three days of music, entertainment, workshops/presentations, on-site camping for non-tiny home owners (tents, RV’s, travel trailers), fire & flow artists, AND MORE! And Yes, the canned ham-style campers and micro Airstreams of the 40’s, 50’s, and 60’s will be returning to “Happy Camper Land” for everyone to see! 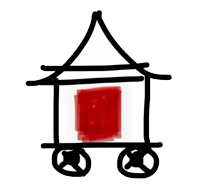 A number of skoolies (converted buses) will once again be in attendance in “The School Yard” and be sure to visit the gypsy wagons, yurts and other special tiny homes in the “Bohemian Village”. 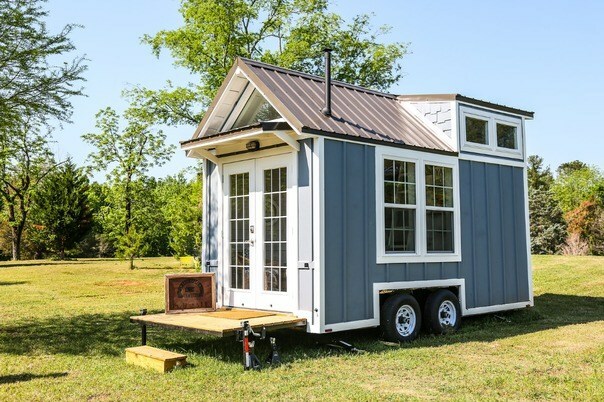 Private-owned tiny houses will be found in “Tiny House Town” and new model tiny homes will be on display, and for sale, from a number of professional builders in “Tool City”. Additionally, “Teenie’s Tiny Wonderland” will be an area for young ones to enjoy hands-on activities, games, crafts, and to participate in other fun activities. Friday, between the hours of 9AM-12PM, is open exclusively to students only whose teachers & schools pre-register HERE. Also, on Friday, from 12PM-4PM the gates open for $10.00 per person ages 13 and older, and then gates open from 5PM-8PM for FREE to everyone. On Saturday and Sunday, admission is $20.00 per day ($35.00 for a 2-day admission ticket) for ages 13 and older (gates open at 9AM). There are outdoor concerts and lice music all weekend, plus additional entertainment and fire & flow artists. Be sure to mark your calendars for a great Florida vacation and plan to attend this family-friendly event, which promises to be three days of excitement, fun, inspiration, and of course… LOTS of tiny homes! 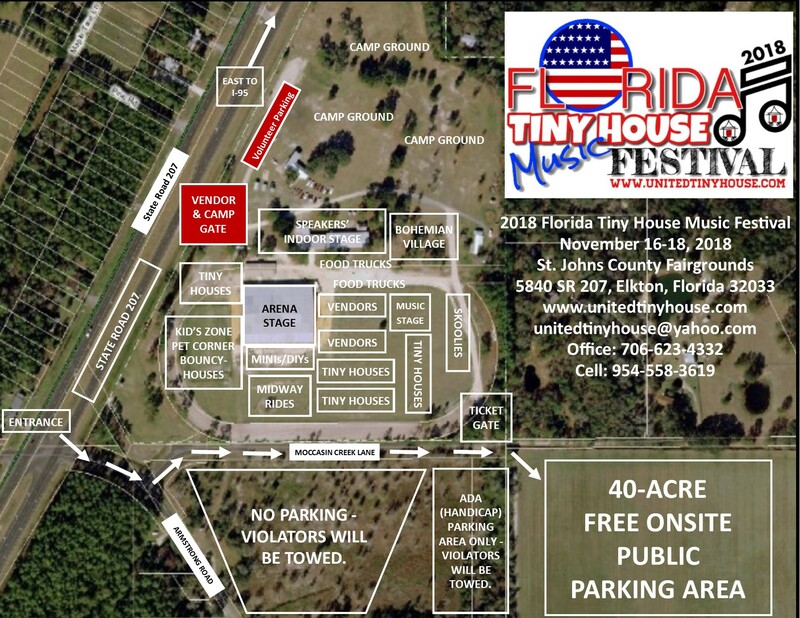 The 2018 (3rd Annual) Florida Tiny House Music Festival will be held Fri-Sun, November 16-18, 2018, once again in Elkton, Florida, at the St. Johns County Fair Grounds. On-site camping will be available during the 2018 Florida Tiny House Music Festival for those with tents, RVs, and traditional campers. Friday night (5PM – 8PM) is FREE and children ages 12 and under are FREE all weekend. For Saturday and Sunday, the admission fee for everyone age 13 and older is $20.00 per day and $35.00 for 2-day admission. Plus you can reserve on-site primitive and premium campsites. You can see the detailed schedule HERE. Please do not hesitate to contact the United Tiny House Association by email at unitedtinyhouse@yahoo.comor by calling 706-623-4332 with any questions you might have about the 2018 (3rd Annual) Florida Tiny House Music Festival.